Got to be one of the smallest, loudest amps available. Actually it’s not available because the reissues coming out now (if they are faithful) do not reproduce the 2×10 version. It does just barely under 120W at clipping. Tremolo sounds amazing, especially when you go past 5 in speed. Wonder if the new reissues HD130s are the same amp. The plate voltage in this is among the highest I’ve ever encountered, about 720V or so, so I kind of doubt they would reissue that kind of high voltage. But who knows. 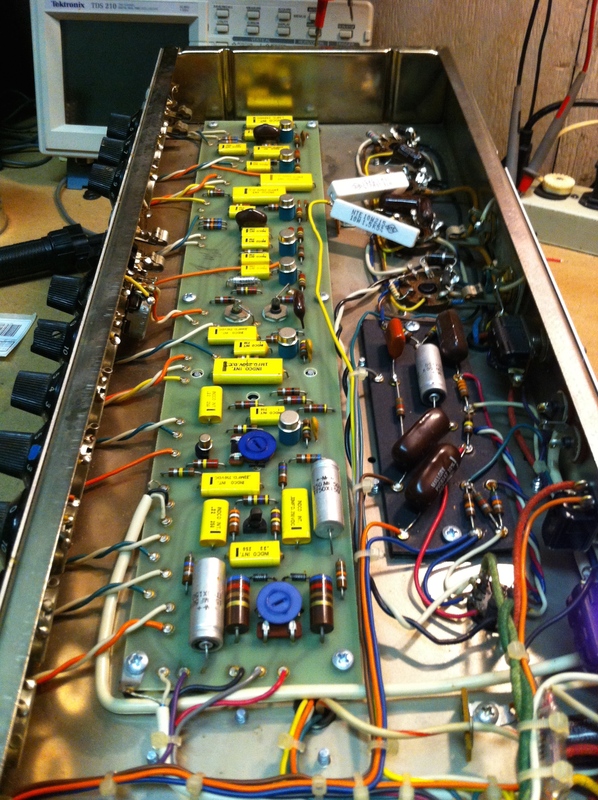 Solid state preamp with 12AX7 phase inverter. 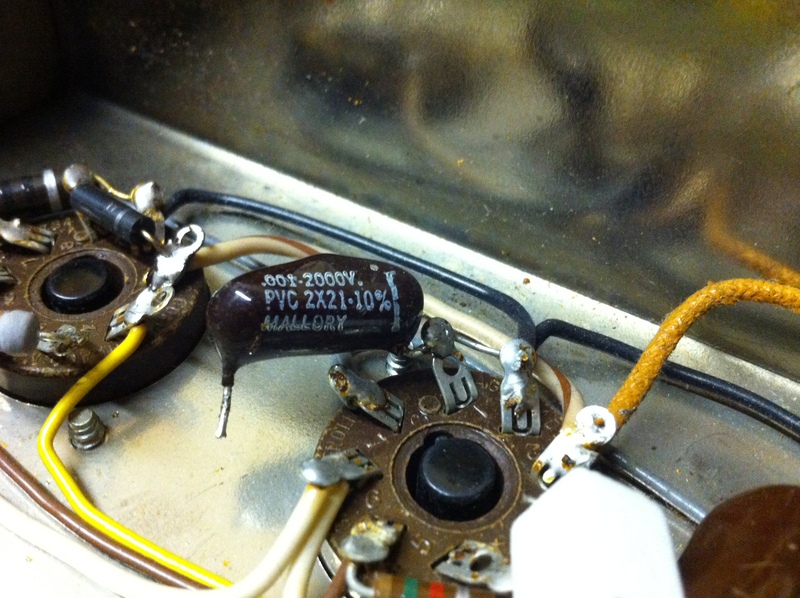 Earlier versions had the 12AX7 phase inverter and the later ones had a solid state one. 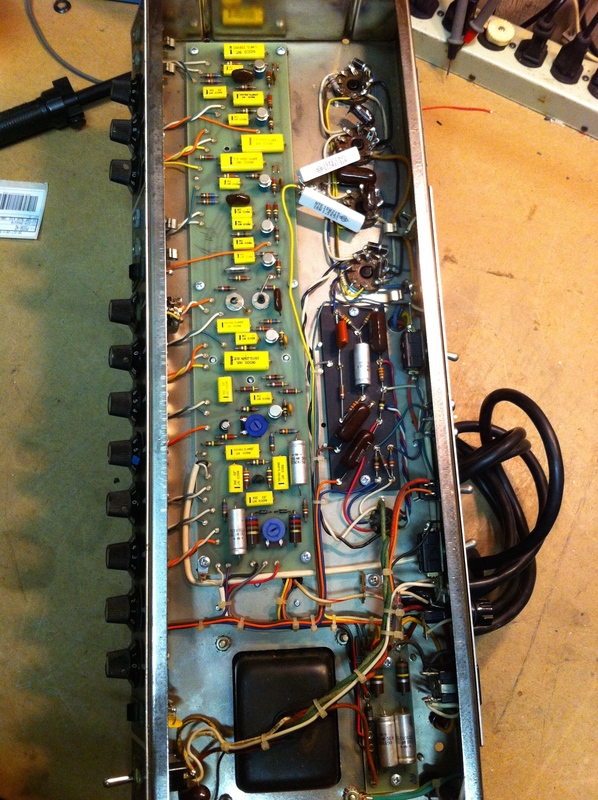 Bias trimpot is visible right up front between the two big 620 ohm/2W resistors. 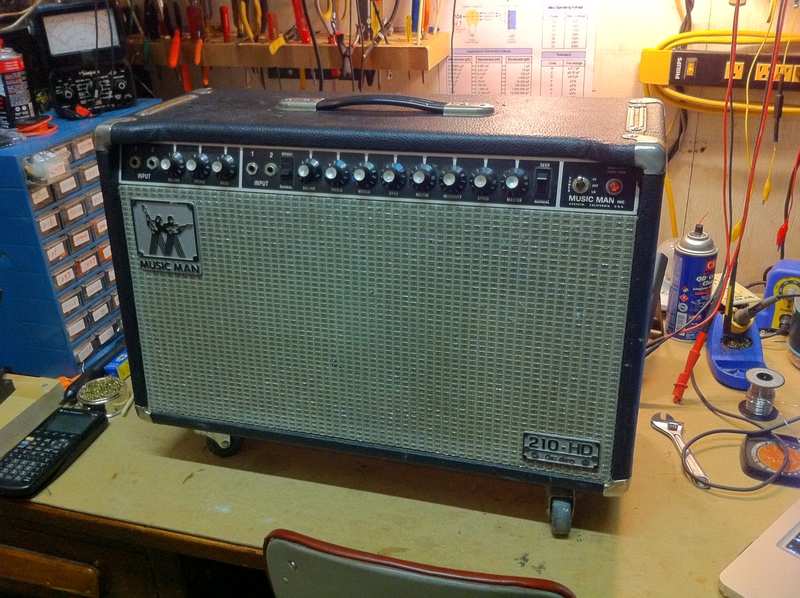 This amp had a broken footswitch but the main problem was it would blow fuses. That’s because of the .001/2000V from EL34 anode to ground was shorted. Not sure exactly why this happens, I guess voltage spikes from the output transformer, but I have seen this cap short before. Seems somewhat common. I believe my anecdote has some relevance because I’ve asked around.